My favorite couple is definitely Gwen and Gavin. Beautiful people with beautiful children. They are a little out there when it comes to family style, but hey, they are rockers and rockers are in their own fashion category. Does this picture look like it's straight out of a magazine ad? Except it's real. Next up is not a confirmed couple. Reps deny it but I hope it is true. I think Mila is awesome and so is Justin. Finally splitting with Macaulay Culkin after dating for eight years, she deserves a hot man in her life (sorry but you know you are all thinking the same thing!). OK now for the weirdest couple: Scarlett Johansson and Sean Penn. Say what?! She's so pretty (although I still resent her and her marriage to Ryan Reynolds!) and he's so...old. I may be way out of the loop but this is the first that I am hearing about this couple. Anyone else think it's weird?! 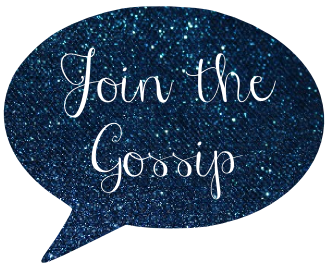 Since I was way late to hear the news about the last couple, does anyone else have any celeb couple gossip they'd like to share with me? i am even more out of the loop! but i hope mila and jt are together, that would be hot! Sean Penn and ScarJo freak me out a little bit, I have to admit that. And call me Tom Cruise on Oprah's couch, but I am not a fan of Mila and JT being together. I want her to be with a genuine guy like Ryan Gosling (biased, haha) or even Bradley Cooper. Now I sound like a freak, dishing up potential guys for Mila. Sorry! Gwen and Gavin are adorable, and so are their kids! Sean and Scar Jo freak me out. My fave couple is Diane Kruger and Joshua Jackson. I love Ben and Jen too. I'm still holding out hope for Ryan Gosling and Rachel McAdams too! I love Mila and Justin together, very cute! I've kind of given up on celebrity couples, not going to lie. After the whole Jen/Brad thing, I thought I'd never get over it -- and then there was the Rachel Bilson/Adam Brody breakup. What can I say; I hold a grudge. ok: gavin and gwen are one of my fave couples too. they are just so adorable together--i hope they never break up. if justin is dating mila then i will crap my pants over the awesomeness! love them both. and yeah, it's definitely time she has a hot man in her life--she's freakin' gorgeous! sean and scarlett--i just don't get it. i just don't get it. who leaves ryan reynolds for sean penn? I think Sean & Scarlett are weird together too. My favorite celeb couple is John Krasinski & Emily Blunt! I recently discovered the Scarlett & Sean Pean think and was equally amazed. WHAT?!?! I mean, I LOVE Sean Penn. Mostly cause he's an activist and also cause he played Matthew Poncelet in Dead Man Walking, a movie that really did change my life (and I'm not even a movie person!). And I do think that Sean Penn looks kinda like an older version of McDreamy (see the resemblance?). But ScarJo is significantly younger than US!!! I mean seriously? It's weird. WEIRD. I don't know who my fave couple is--you've got me thinking on it now! I might have to go with Susan Sarandon and Tim Robbins. Are they still together? haha. I've always loved Gwen and Gavin too. They're the perfect CA rocker couple. I love that photo of them. I really hope Mila and JT are together too. The more I see of her, the more gorgeous I think she is. She definitely deserves a hot man in her life. I don't understand how Scarlett can go from hottie Ryan to old Sean. Blah! I would LOVE it if Justing and Mila were an item! They are HAWT! oh, i'm so out of the loop that i loved reading about this! justin is pretty hot. nice! sean penn, um yeah, not so much. Mila and Justin would be so hot together!! I use to be so into celebrity gossip, and now I can't think of my favorite celebrity couple. I am so out of it.